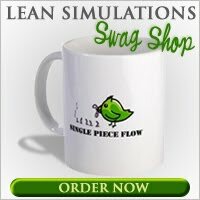 Lean Simulations: Lean Office Simulation - Because we all love to fill out paperwork! Lean Office Simulation - Because we all love to fill out paperwork! A lean office simulation gets analyzed. Disclaimer: This post describes a paper written about a lean office game. As such, there are some neat and interesting techniques presented that can be used in a lean simulation, but no full-fledged lean office simulation. Too bad. For a simpler, but complete lean office game, check out the Paperwork Simulation. I found this paper on the asee.org website. ASEE stands for the American Society for Engineering Education. Apparently there'a a whole society dedicated to training engineers. As an engineer myself, this surprised me, since I figured we already knew everything. . . All jokes aside, apparently they have plenty of experience creating and tweaking lean games and simulations. This particular paper was presented at their 119th annual conference and can be found here, titled "Redesigning a Lean Simulation Game for More Flexibility and Higher Efficiency." For those that are into dry, analytic reading, this paper is wonderful! Believe me, people like me do enjoy reading this stuff. It's actually not too dry. The authors explore an existing lean game and try to improve it using a Six Sigma approach. It's a great one-two punch. Not only do we get some insight into a lean office game, but we get to follow a six sigma problem solving process. Unfortunately, we don't get to see the full fledged game in this paper, or get access to the files. However, the paper describes some details of the game, allowing us to get a general picture of how to run a paper-based lean office simulation. Eight participants are employees at a consulting business. These eight people are in charge of setting up consulting appointments for new customers. There are two types of customers (red and blue). The consultant has limited time and customers cannot be overbooked. Each process step involves either bubble form filling, rolling dice, writing, signing off, or communicating for scheduling. All typical office activities (except for the dice). I'm guessing the dice rolling have to do with generating a new customer. Although we don't get to see the whole simulation, we do get to see the bubble form that's used. 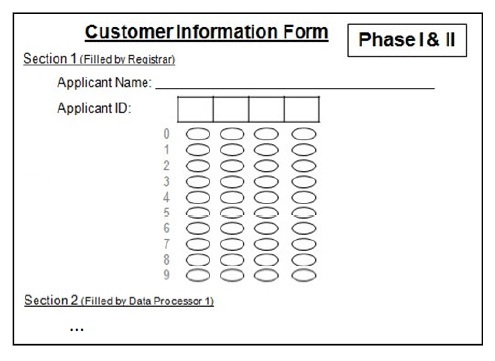 In the first and second phase of the game, the form above is filled out by the first two processors (Registrar and Data Processor 1). 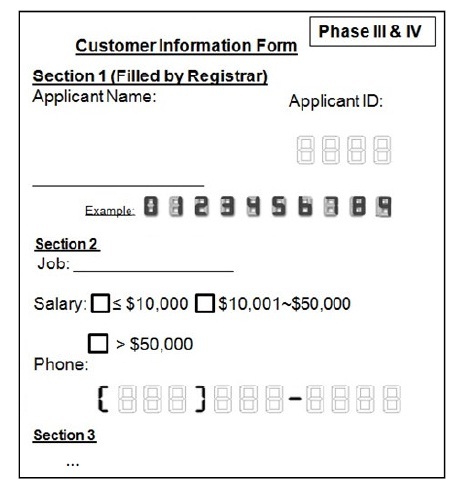 The bubbles need to be filled out, so the form can be "read" by a computer. I remember these from my university exam days. Easy to make a mistake? You bet! This is a great, cumbersome form to be used for any lean office type of simulation. How does the rest of the lean office game play out? More information is added to the form, including salary level, phone number and job. Perhaps this is a combination of multiple forms. In addition, the bubbles are replaced with "digital" number fields. An effort at standardization? The authors also describe how to make the game flexible across different participant counts. This is key to prevent handing out too many "observer" roles to your group. Their approach is to add or remove different processes depending on the different number of participants. They also concluded that it's generally better to have two teams competing against each other, instead of running only one game. Once again, you can access this paper on the ASEE website here. For those of you looking for some interesting techniques on running a lean office simulation game, the paper is worth reading. If you're looking for a more polished and complete lean office game, check out the Paperwork Simulation game. Does anyone out there have any experience with this or a similar office game? Please share your thoughts in the comments. I'd love to hear them!